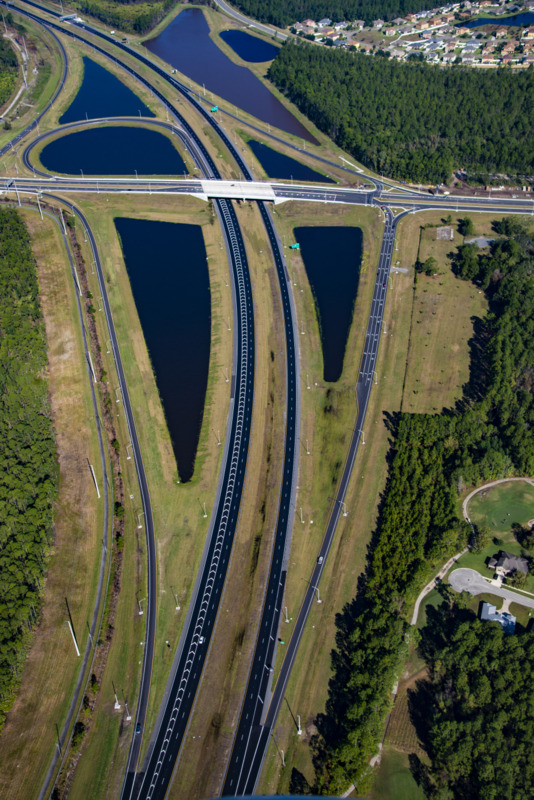 The design/build team of Dragados USA, Inc. and TY Lin International began work in 2013 on the first phase of the First Coast Expressway along State Road 23 from north of Argyle Forest Boulevard to south of I-10 (6 miles). Add two lanes between New World Avenue and 103rd Street (State Road 134). Resurface all existing pavement within the project limits. 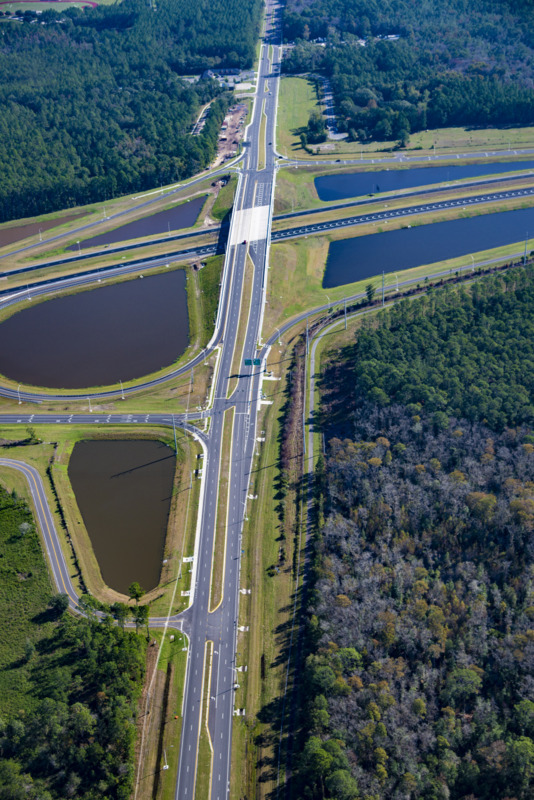 Construct interchanges at New World Avenue, Normandy Boulevard (State Road 228) and 103rd Street (State Road 134). 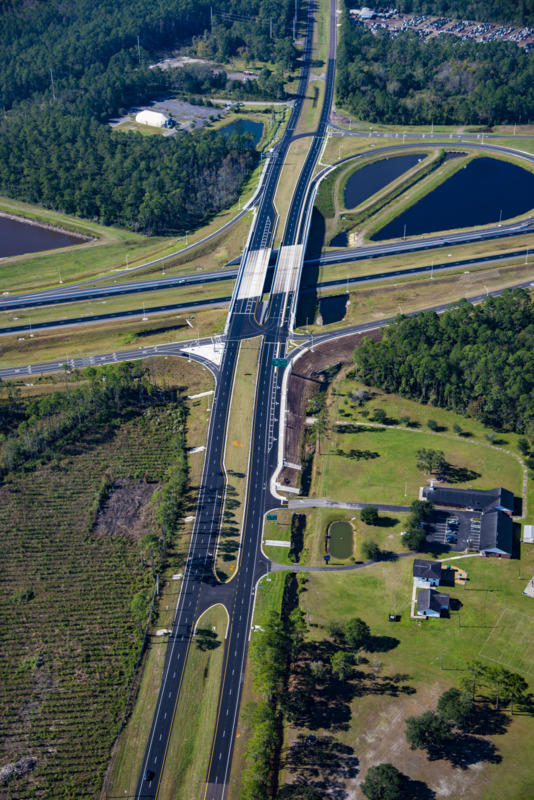 Side roads will cross over the First Coast Expressway. Realign Chaffee Road to connect with Samaritan Way. 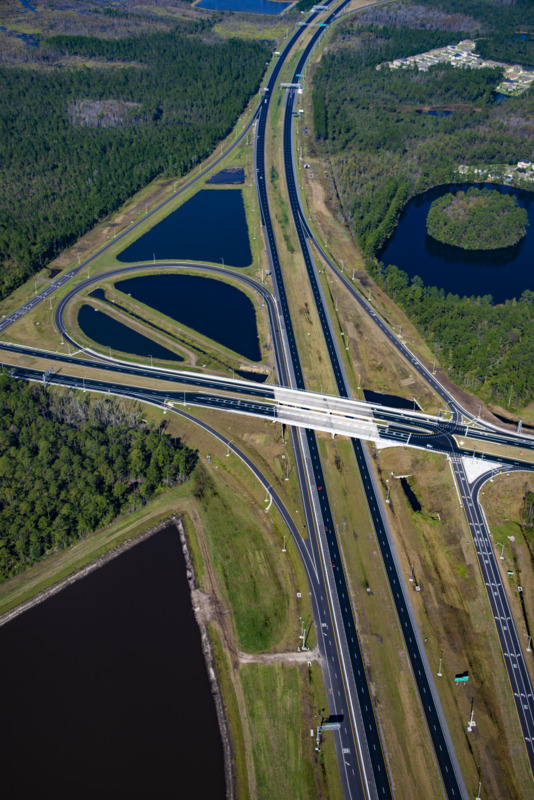 Build automated tolling facilities for electronically paid tolls south of New World Avenue. Build noise walls for portions of the Bent Creek and Blue Lake Estates subdivisions. Construct drainage ponds and an underground stormwater system. 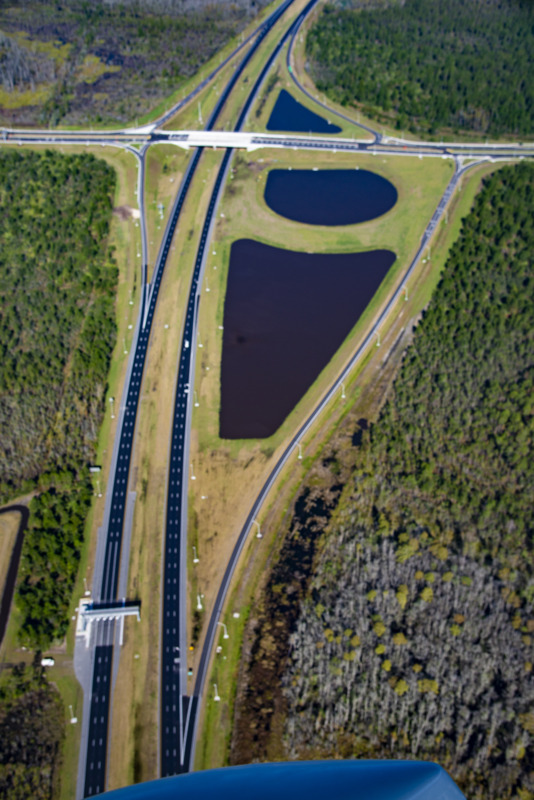 No lane closures will be allowed on weekdays between 6 a.m. and 7 p.m. 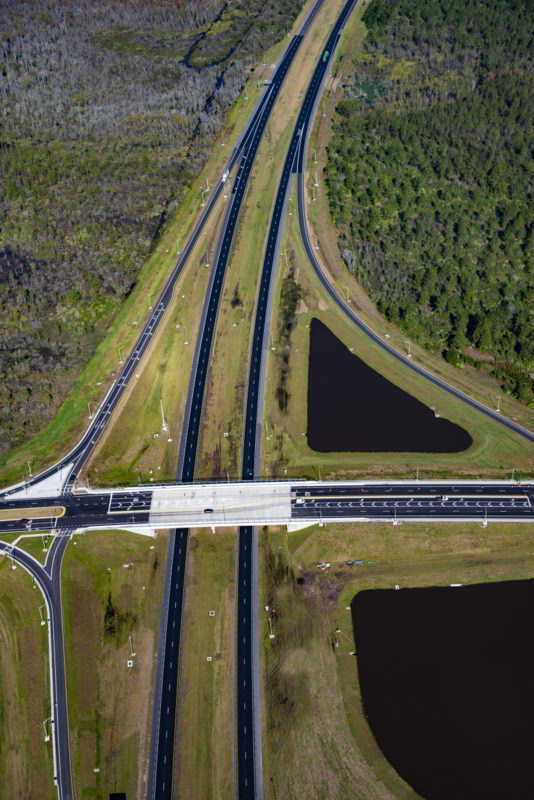 The existing speed limits on State Road 23 and all side streets will remain the same during construction, however, speeding fines are doubled in the construction area while workers are present. Daytime westbound lane closures at Redstone Drive weekdays from 9 a.m. to 3 p.m. for concrete work. Daytime lane closures on State Road 21 over South Prong Black Creek Saturday from 8 a.m. to 8 p.m. for bridge replacement.